Set in Kuala Lumpur, OYO 110 Cosmic Hotel offers free WiFi. The property is located 1.3 km from Berjaya Times Square. The property is 1.6 km from The Weld and 1.8 km from Fahrenheit 88. At the hotel, the rooms are fitted with a wardrobe and a flat-screen TV. OYO Rooms Maharajalela features some rooms with city views, and each room includes a private bathroom. Staff at the reception can assist guests at any time of the day. Starhill Gallery is 1.9 km from the accommodation. The nearest airport is Sultan Abdul Aziz Shah Airport, 17 km from OYO 110 Cosmic Hotel. A tourist tax of MYR 10 per room per night is applied to all foreign guests. This tax is not included in the room rate and must be paid upon check-in. Guests with a valid Malaysian Identity Card or valid permanent residents MY PR Card are exempted. Please inform OYO 110 Cosmic Hotel in advance of your expected arrival time. You can use the Special Requests box when booking, or contact the property directly with the contact details provided in your confirmation. 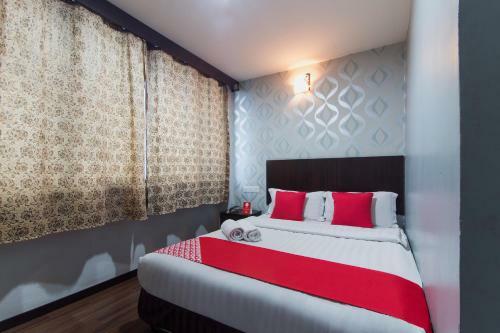 With a stay at Ranting Guest House in Kuala Lumpur (Golden Triangle), you'll be steps from Petaling Street and 4 minutes by foot from Central Market. This guesthouse is 0.3 mi (0.4 km) from Jamek Mosque and 0.4 mi (0.7 km) from Merdeka Square. Make yourself at home in one of the 40 air-conditioned guestrooms. Pay movies and video-game consoles are provided for your entertainment, while complimentary wireless Internet access keeps you connected. Bathrooms feature showers, complimentary toiletries, and hair dryers. 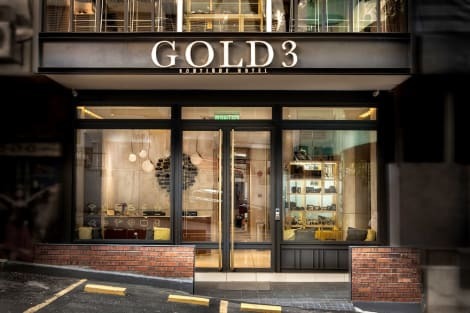 With a stay at Gold3 Boutique Hotel, you'll be centrally located in Kuala Lumpur, steps from Lot 10 Shopping Centre and 9 minutes by foot from Pavilion Kuala Lumpur. This hotel is 0.5 mi (0.7 km) from Berjaya Times Square and 0.4 mi (0.6 km) from Jalan Alor.